Male to Group of Females. Doesn't eat fry. Size- Up to 6 inches. in the plants, and react to sudden or unexpected movement. in front showing off at one another. species comfortable. 10-30 young are born approx. monthly. reach 5.5 - 6 inches. See "How big can they get?" Thank you Sumer Tiwari for the two bottom photos. reasonably prolific. 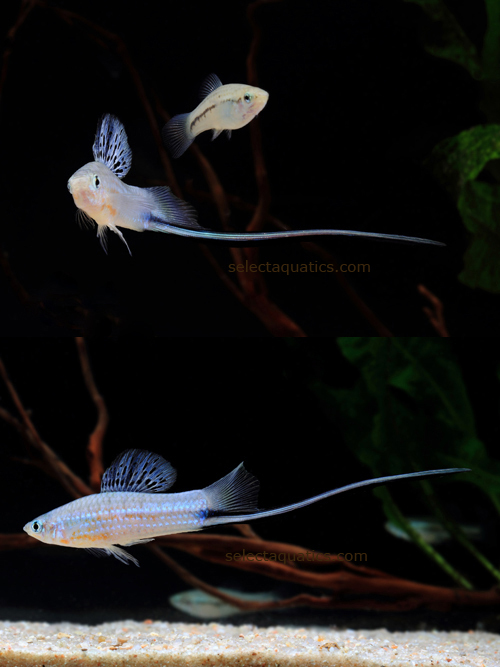 Their rate of maturity is similar to other swords- sexual development around 4 mos., breeding at 6-8 months. 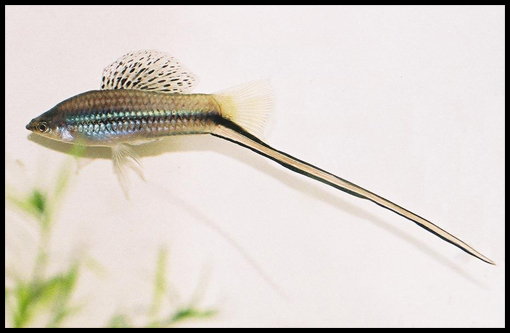 For more information, of this fish, click Here. have claimed to raise them larger using larger tanks. Easily the most impressive livebearer you can keep in a home aquarium.